A project to protect cyclists is being rolled out across West Yorkshire this week- and has hit the road first in Wakefield. 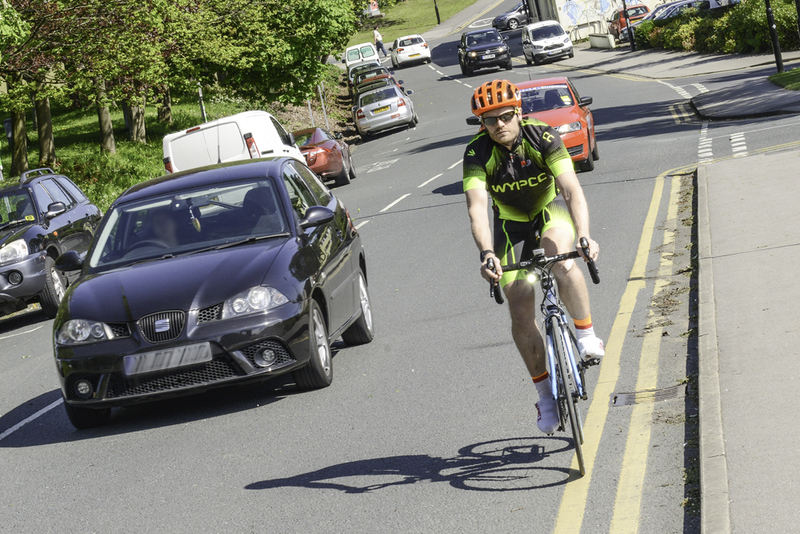 In May 2017, West Yorkshire Police piloted an initiative to help protect cyclists and other road users. The initiative, piloted under the name Safe Pass, now known as Close Pass, uses plain clothed officers on proactive patrol identifying motorists who pass too close for comfort, fail to give way at junctions or are distracted from having a proper view whilst driving. Offenders who pass too close to the cyclist will be offered an on-the-spot educational input on safe overtaking using a specially designed floor mat. Anyone who declines to take part in the tutorial, or who is deemed to have committed a particularly hazardous overtaking manoeuvre could be prosecuted for driving without due care and attention. Rules of the road stipulate motorists should give cyclists and other vulnerable road users such those on horseback at least the same space as vehicles when overtaking. A student participating in a DVSA practical driving test would fail the assessment if they performed an overtake manoeuvre without giving sufficient space (approximately 1.5 metres) and the DVSA test can be regarded as the required standard of a careful and competent driver when considering prosecution. In its first day operating in the South East of Wakefield District yesterday, Close Pass officers stopped four cars and gave a penalty notice to one driver who refused an educational input. Mark Burns-Williamson, West Yorkshire’s Police and Crime Commissioner said: “I am very pleased to be able to say that the close pass initiative is being rolled out across West Yorkshire since I was first contacted about this last year and pilot work was undertaken. Tackling road safety issues requires a mix of education and enforcement and this operation is a great example of the two coming together. “Road safety in the main boils down to respecting other road users, in this case, giving cyclists a safe amount of room when passing. It’s a simple message, and it only takes simple actions to avoid causing harm and avoid unnecessary collisions. Inspector Martin Moizer of the Wakefield North East and Rural NPT, said: “We are very pleased to be launching Close Pass in 2018 in Wakefield and are carrying out Close Pass plain clothes patrols in all parts of the Wakefield District. “Officers are aware of concerns from residents in the city centre regarding cyclists using pavements rather than the roads, and this is an issue we are also planning to address with some targeted educational work. “Pedestrian safety is also a concern and we do encourage cyclists to use cycle lanes or to dismount and walk on the footpath in areas where no cycle lanes are available. Assistant Chief Constable Tim Kingsman said; “On average, we record around three incidents every day where a cyclist and vehicle have been in a collision on the county's roads. Frighteningly, seven people lost their lives on our roads in 2016, which is a number we urgently want to address and reduce. Police Sergeant Gary Roper of the West Yorkshire Police Roads Policing Support Unit said; “Last year’s pilot in Leeds was a success and it is hoped that the delivery of the scheme across West Yorkshire will increase increased driver awareness and alertness in identifying cyclists and other vulnerable road users, giving them safe sufficient space when overtaking and taking more care to look for them at junctions. 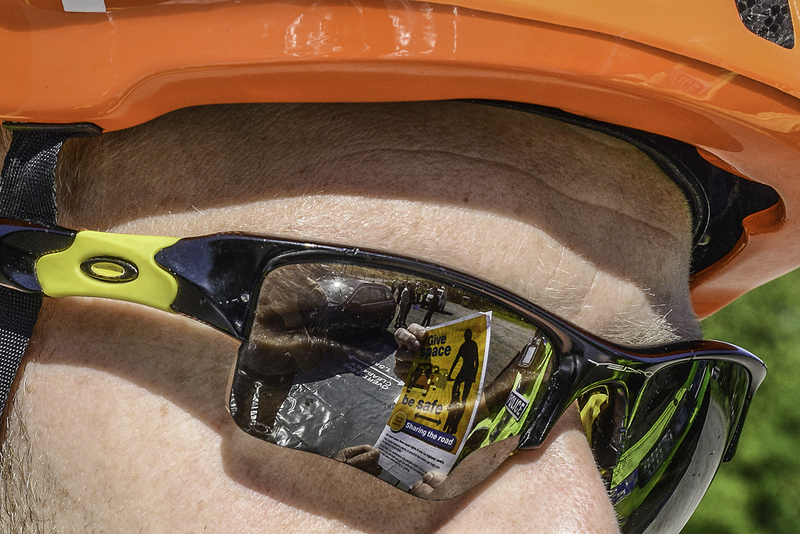 Drivers who are identified as failing to look during the initiative will be subject to an eyesight test and the option of a roadside educational input to raise awareness of the issues presented to cyclists (such as the primary and secondary riding positions). If the driver passes the eyesight test and agrees to participate in the educational input then no further action will be taken in relation to prosecution. If a driver is identified committing a more serious offence, such as driving whilst using a mobile phone or dangerous driving then they may be subject to prosecution. The initiative is not just limited to motorists, cyclists who commit offences such as riding on the footpath, failing to stop for red traffic signals or cycling without lights during the hours of darkness will be stopped and dealt with accordingly.